52 samples of Ordovician (Arenig-Caradoc) sediments from Wales have been analysed with respect to major elements and to certain trace elements (Rb2O, SrO, ZrO, MnO and P2O5). The same samples were studied mineralogically by X-ray diffraction and in thin sections. The correlation coefficients of the major and trace elements have been calculated. The dominant minerals are illite, mixed-layered illite/montmorillonite, chlorite, vermiculite, quartz and feldspar (plagioclase). Relatively pure potassium-bentonite beds with mixed-layered minerals are reported. The average composition of the samples analysed shows low MgO (1.4 %) compared to published analyses from the Trondheim and Oslo Regions of Norway. This can be explained by the overall acid composition of probable Precambrian source rocks and by the fact that the Ordovician volcanism in Wales is predominantly of acid to intermediate composition. 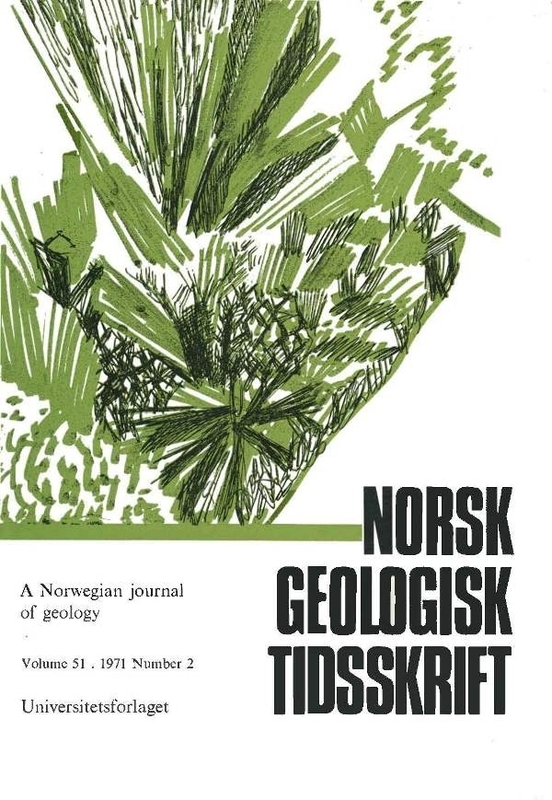 The Ordovician sediments of the Norwegian Caledonides, however, seem to be a product of more basic volcanism and larger complexes of gabbroid rocks in the Precambrian basement exposed as source rocks.